For instance, someone told me about a squawk on a school’s airplane that read, "There’s a noise back there." Ah, could we be a little more vague about that? Back where? Back at the airport? To Squawk or Not to Squawk, That is the Question – When are squawks necessary, and what should you include on the airplane squawk sheet? We’ve all seen write-ups like this in airplane squawk sheets before. Well, maybe they haven’t been quite like this, but some come close. Knowing how to squawk an airplane problem can help not only you but your fellow pilot the next time he or she hops into that airplane. Most airplanes have some means of squawking the problems you may experience during flight. If you’re a renter, the FBO may ask you to write squawks in the same booklet where you record Hobbs time, or they may have a different procedure. Find out. (If you own the plane, it still helps to write down what the squawk is. I’ll assume that you’re a renter for the remainder of this article.) Proper notification in writing often has an effect on how rapidly—or if—the item being squawked is fixed. It also leaves a paper trail that can help avoid those “You never reported that the tires were missing” types of discussions. What Are Proper Squawks, Anyway? Not long ago a pilot told me about a squawk he saw that read, “This airplane is unable to fly straight and level.” An entry like this would make any mechanic suspicious. Isn’t it possible the pilot in question can’t fly straight and level? Perhaps he has difficulty doing both of these at the same time. I don’t know. I do know that even an out-of-rig airplane can still be flown straight and level. Granted, it may not look like it’s flying straight and level, but that’s beside the point. As long as the altitude and heading are constant, it’s flying straight and level. Before squawking any airplane, it’s also a good idea to make sure the problem isn’t something that you caused. I remember one pilot who wrote up a straight-and-level type of squawk on a Piper Arrow. He realized that he was the problem when someone pointed out the rudder trim knob located below the control quadrant. It was turned so far to the right that the airplane would only fly properly during a climb. Another problem with squawks is the lack of precision with which they’re occasionally written. 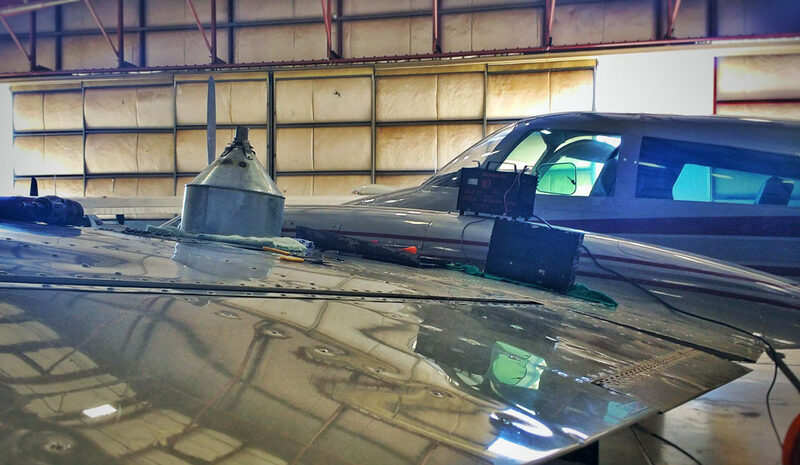 The objective of any squawk is to help the mechanic identify and solve the problem, not challenge him. He has enough of a challenge making sure no one borrows his tools without asking. For instance, someone told me about a squawk on a school’s airplane that read, “There’s a noise back there.” Ah, could we be a little more vague about that? Back where? Back at the airport? That’s why you want to think like a mechanic when you write up a squawk. The problem here is that there’s just not enough information for the mechanic to work with. That’s why you want to think like a mechanic when you write up a squawk. Try to help him solve the problem. Describe the issue using the core queries every junior reporter is taught to include in a story: who, what, when, where, why and how. WHO is making the squawk, so you can be contacted if the mechanic needs further information. WHAT was the nature of the problem, in as much detail as is reasonably necessary. WHEN did it happen (date/time)? WHERE were you at the time (altitude, if any, location). WHY are you inclined to think there is a problem? And HOW do you think it should/could be resolved? This gives the mechanic sufficient information to target the problem. No doubt he will suspect prop harmonic vibration that’s typically associated with these symptoms. This is a lot better than writing, “You’ve got to fix this thing.” What thing? What fix? Who you? This brings up another very important point about squawks. 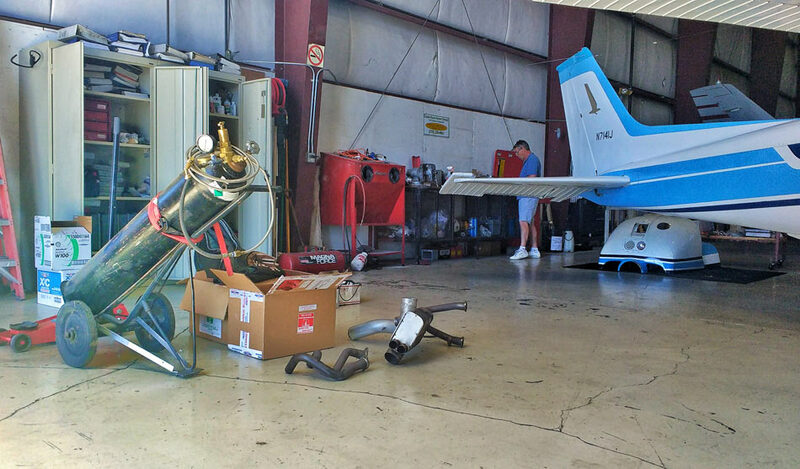 One pilot’s problem can be an FBO’s perfectly working airplane. Sometimes your idea of a problem isn’t shared by the person who pays the repair bills. 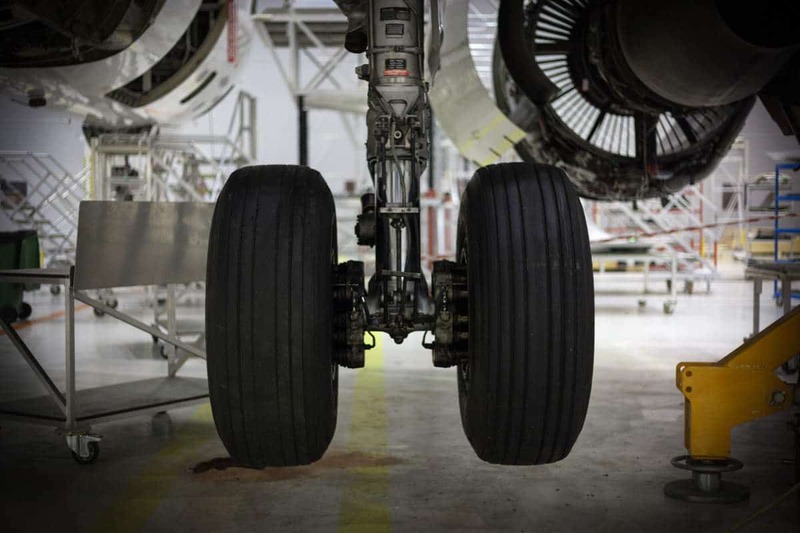 The fact is that the tire may not need replacing, at least in the FBO’s eyes (of course, I’m assuming that the tire wasn’t made by the MayPop or CouldBlow tire company and is still in reasonable shape). A happy balance is usually struck in these instances. But don’t hesitate to complain. If you feel there is a problem or an issue worthy of squawking, then squawk it. I only ask that you be careful to not cry wolf too often. The currency that buys special attention to the squawks you make is the conspicuous absence of irrelevant squawks in your name. In other words, write up every little innocuous thing and the mechanic will pay less and less attention to all that you write. Resist the temptation to use the squawk in the same way that Gandhi used passive resistance. In other words, if the FBO hasn’t or isn’t fixing the problem you squawked, don’t write flaming, exaggerated, frightening stories about it, the likes of which would make Stephen King proud. Nor should you cite a Nostradamus quatrain showing how the squawked problem logically leads to a world tilting off its axis and rolling off into some dark corner of the universe. Yes, in our litigious society this gets people’s attention (which is exactly the subtle form of extortion the author of a menacing squawk desires). It’s possible that renters will run screaming from the airplane, demanding that the FBO do something about the squawked problem. OK, the FBO may do something, but not necessarily what you expect. If you wrote the squawk and are a CFI employed by the FBO, you may be here today and “Gandhi” tomorrow. If the FBO hasn’t fixed the problem, have a chat with the person in charge. Nothing beats a sincere expression of concern. Your mechanic is probably very busy! Here are two more reasons you want to be careful about how you write up an airplane squawk. First, everyone else sees it. There’s no sense embarrassing yourself for no good reason. Several years ago, NASA’s ASRS newsletter contained an airplane squawk entry that was excerpted from England’s Flight Safety Focus. The squawk was written by an airline test pilot who was in the process of testing the autoland equipment that his airline was installing on its fleet of aircraft. Some pilots love baiting mechanics with their squawks. It’s all for fun, of course, though if the mechanic isn’t in laugh mode it could wind up being a wrenching experience for you. If you’re going to play this game, you want to make sure the mechanic knows you’re having a little fun and not being serious. You don’t want to mislead another pilot with a squawk meant for amusement. (Nevertheless, I’d advise refraining from these types of squawks). Two forms of this type of complaint were sent to me a while back. So make it a point to squawk problems with the airplane, not the pilot. Describe the problem precisely, but don’t use War and Peace as a guide for length. Think like a mechanic when squawking a problem and ask yourself the journalist’s six favorite questions to help in your description. The mechanic and your fellow pilots will appreciate you for it. There is one squawk I have yet to see. It’s the holy grail of squawks. One day I’ll see it. When I do, I’ll silently nod my head in reverence, realizing that I’m seeing something that no one else has ever seen or probably will see in his lifetime. Someone, probably after his first experience contacting a radar controller, will do just what he thinks he was told to do. He’ll write in the airplane’s squawk sheet the numbers, 1200. I know it will happen, someday. Rod Machado’s wildly successful aviation books, including Plane Talk, a collection of his articles, are available on his new website, BecomeAPilot.com, including his humorous Private Pilot Handbook, as well as a wide selection of eBooks and audio books on a variety of aviation topics. Visit rodmachado.com for more information on Rod and his public speaking and vast experience as a CFI. A pilot since 1970 and an active flight instructor since 1973, Rod is also a National Aviation Safety Counselor, as well as the instructor on Microsoft Flight Simulator and the author of seven aviation books. He has over 10,000 hours of flight experience earned the hard way—one CFI hour at a time. He was named the 1991 Western Region Flight Instructor of the Year. You can read his monthly column, “License to Learn,” in AOPA Pilot magazine as well as his monthly columns in Flight Training Magazine. Rod also holds degrees in aviation science and psychology. How Much Do You Really Know About Hypoxia?